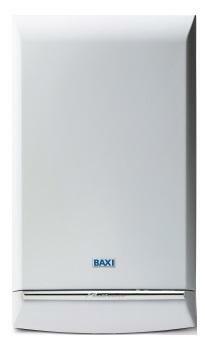 Featuring the Duo-tec Combi 40 wall mounted boiler from Baxi. This boiler is a highly efficient boiler coming in at a hefty 40 kW output and having an efficiency rating of 88.5% making this boiler B rated for both heat and water. This boiler was voted CORGI boiler of the year so it’s no surprise that the Duo-tec combi is also Baxi’s best selling boiler and a favourite by both installer and homeowners. This boiler is designed to reduce money on your heating bills whilst still giving you maximum efficiency. It comes with high hot water flow rates to help give you the security of never being without hot water. Featuring a user friendly control panel that is clear and easy to read. The Duo-tec comes with a frost thermostat making it sit happily in colder areas of your home like the basement or garage. It also comes with a pre-plumbing jig complete with pre-formed copper pipe tails, built in filling loop, and a one metre mains cable - which is all you need to get it installed nicely. This boiler is also compatible with multifit flue kits that come with choices of lengths, bends, and accessories which adds to the flexibility of where your boiler can sit. This added flexibility means this boiler is suitable for any sized home. The Duo-tec combi is also available in outputs of 28kW, 33kW as well as a dedicated 28kW LPG model making this boiler perfect for all styles of property. Should anything go wrong, this boiler comes with a seven year warranty.